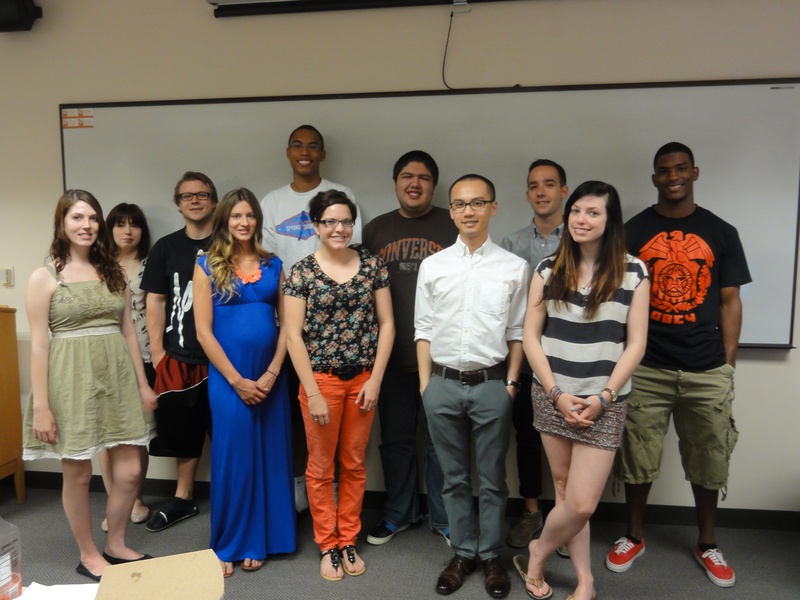 Intermediate reporting students in Holly Mullen’s course covered the Law & Justice beat during spring semester 2012. Their wide-ranging stories focused on topics including: a day inside Utah’s Third District Mental Health Court; racial profiling; illegal immigration concerns from Salt Lake City Police Chief Chris Burbank; identity theft and others. One Salt Lake City resident is addressing illegal immigration by working to build economic bridges with Monterrey, Mexico. And the topic of immigration still rankles many Utah legislators. One student illustrated what it takes to be a cop, while another examined issues surrounding therapeutic justice in Utah’s largest district court. In the second half of the semester, the class shifted its focus to feature reporting and writing. The students chose two topics with a local angle (in and around Salt Lake City) and ran with it. Subjects included a look at Real Salt Lake’s devoted fan base; the charm of SuAn Chow’s mobile Chow Truck; gender inequity in university athletics; the rebirth of old-fashioned letter writing and a profile on a local teen who’s made it to the “bigs” — major league baseball. Other story topics included a profile on the University of Utah’s top female distance runner, the increasing problem of obesity among college students and the unique public art at Salt Lake County’s TRAX stops. In the category of “slice of life,” one student examined the drag queen scene in Salt Lake City. Student-journalists included: Zachary Arthur; Frances Moody; Katie Harrington; Julianna Clay; Jason Nowa; McKenzie Dean; Tricia Oliphant; Blakely Bowers; Lewis Walker; Todd Patton; Javan Rivera; and Billy Yang. Share a look at public art at TRAX stations around the Salt Lake Valley, and hear commuters’ comments. Hear some public opinion about Title IX, and its impact on U. of U. athletics. Take a photo tour of the opening day of City Creek Center in downtown Salt Lake City. Learn of cutting-edge research into Salt Lake City’s winter inversion problem. View a slideshow of the Chow Truck and its lunch specials on location at the Gallivan Center.